I have downloaded Synergy 2.0. 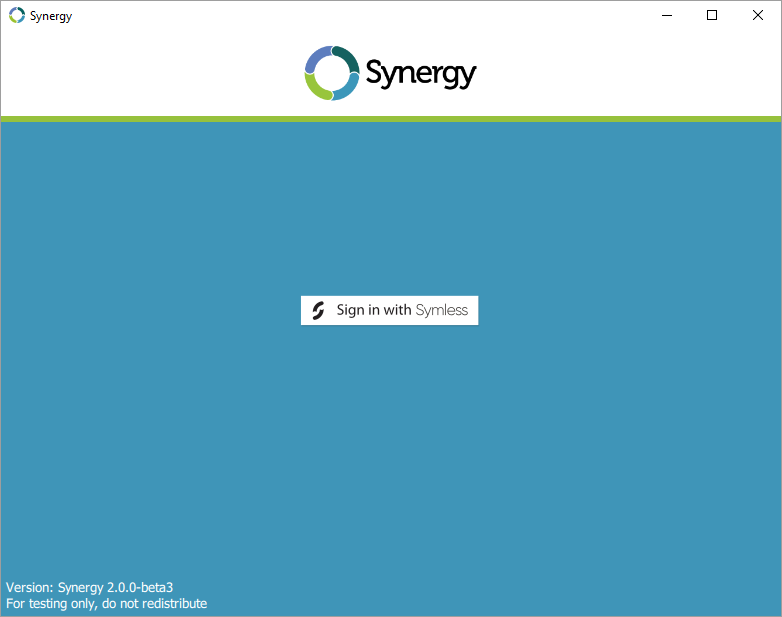 When the program opens it asks to me to sign in with Symless which then redirects to the website and says Login succesful you can now return to Synergy but then nothing happens with the program. It just continues to say "Sign in with Symless". What am I missing?? After logging into the Forum to report the problem (and completing my profile), I can now logon and after stopping Synergy on both machines and starting again once I logged them both on successfully it now appears to be working. though my mac seems connected. I have this issue as well. Windows eventually logged in and started but my Linux box comes back with "502 Bad Gateway -- NGINX". Console on the primary box just keeps spitting out "unrecognised client name "my second box" check server config. I don't know how to even find my server config in this new interface. Having same issue here - and only 1 process under Synergy. Tried stopping and restarting a few times without change. Using Opera - also tried IE - no change, stopped both programs and restarted without effect. Ran each, and both as administrator also to no avail. 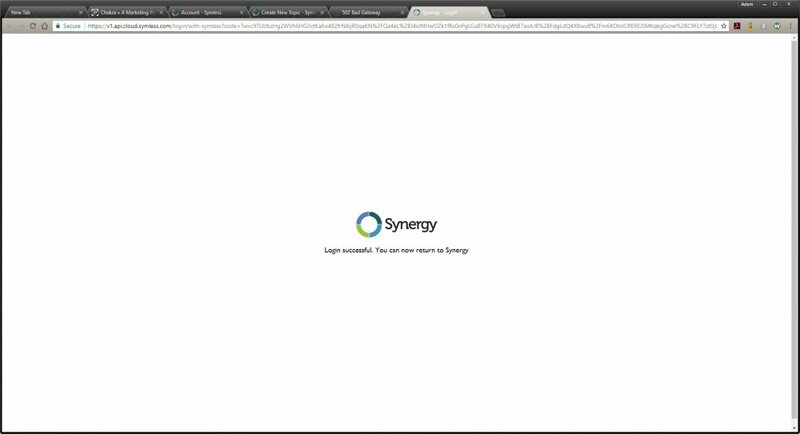 Update: On the secondary box, which is Ubuntu 16.04, repeated refreshes eventually got me the screen above where it says "login successful you may now return to Synergy" but the system still wouldn't launch. "ps -aux | grep syn" showed both synergyc and synergy2 executables running. Killing the original synergyc, removing the path from the "startup applications" and adding the new synergy2 path seems to have resolved my issues. Hope that helps. 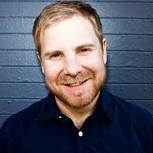 Hey @Adam S and everyone. So sorry for the late reply on this. Have you been able to install Synergy v2 on your other machine(s) too? Yes, I've downloaded on both. Same issue on both machines. Hi @Adam S. Can you send us a copy of the logs for each machine? You can get the logs by following the steps from that tagged thread below. Please include more details about your machines (OS, 32/64 bit, Synergy version installed, connected to the network via Ethernet or Wi-Fi, specify which one you wanted to be the server). Both machine are Win 10 64 bit with Ethernet connections. I will get logs tomorrow. After that, not only was I able to pass the sign-in screen but also both systems could finally find each others and connect. I have tried the steps outlined to get the log but to no avail. I think you have to be logged in. I cannot make it past the screen that says "sign in with Symless". I also tried uninstalling the program on both machines and re-installing but I'm still stuck. Any other suggestions? Hey everyone, we're experiencing some scaling issues with the cloud config server. Please sit tight while we fix this.